Summer is around the corner! It's 70 degrees in Philadelphia and we're breaking out the flip flops! I'm so excited to unearth this bag again! Perfect for the summer, the Ralph Lauren Bandana Raider Bag was a hit for S/S 2010. Featured in French Vogue, this bohemian-chic piece will look cute for a summer's day out on the town at a music festival or even the beach. 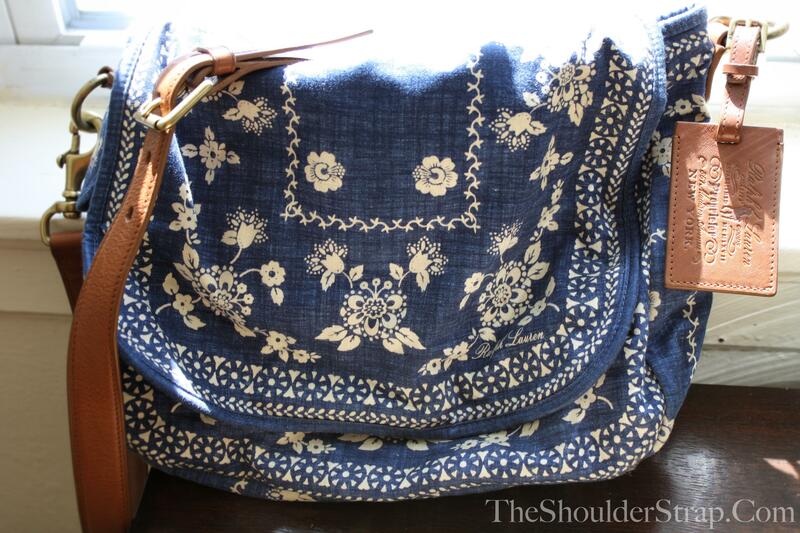 The contrast of the boho blue cloth and the brown leather strap really accentuate the bag. I picked this up at Nantucket Island's RL store in summer 2010 and have enjoyed this fun, young piece ever since! What are you planning on wearing this summer?